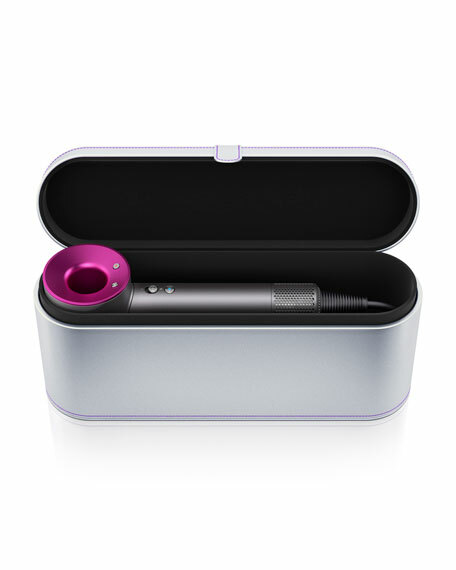 Designed by James Dyson, this platinum Dyson Supersonic hair dryer presentation box is stitched in purple, cushioned with soft fabric and secured by a magnetic clasp. 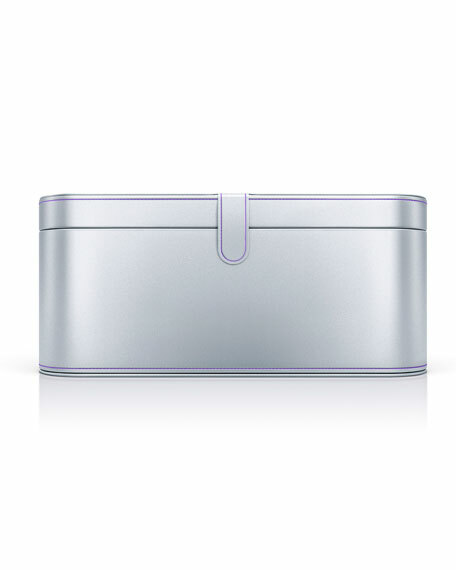 Platinum presentation case with purple stitching. Helps prevent extreme heat damage to protect natural shine. Air temperature is measured 20 times every second, keeping the temperature under control. Ultra fast drying. Drying shouldn't take forever. For fast drying you need controlled, high velocity airflow. 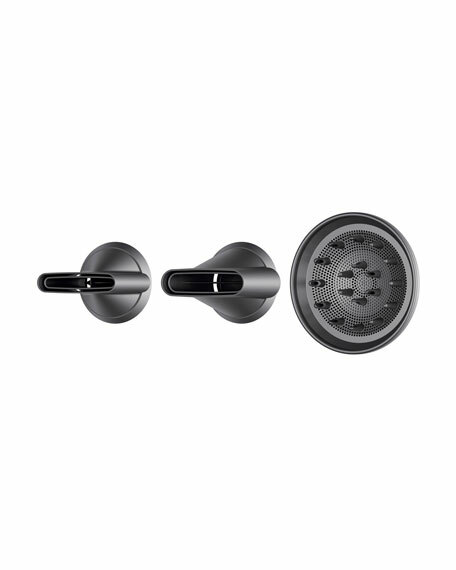 Magnetic attachments. Only the Dyson Supersonic hair dryer comes with magnetic attachmentsso you easily adjust quickly and easily. Dyson smoothing nozzle. Dries hair gently using smooth, wide air, allowing you to dry and style at the same time. Dyson styling concentrator. High-velocity, focused air that lets you style one section at a time  without worrying about disturbing the rest. Dyson diffuser. Engineered to disperse air evenly around each of your ringlets. 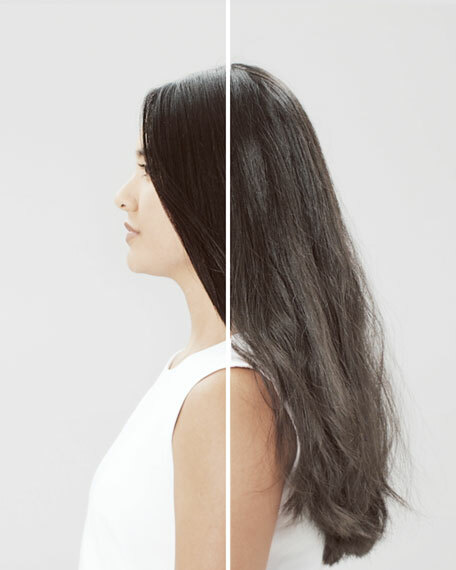 Simulates natural drying to help reduce frizz and improve definition. Cool to touch. With Heat Shield technology, the surfaces of the attachments stay cool. Lightweight and balanced. We've turned convention on its head and put the motor in the handle. Completely rebalancing the dryer's weight and shape. Acoustically tuned. The powerful motor is tuned to produce one inaudible frequency, and it's enveloped by a vibration reduction system. 3 precise speed settings. Fast drying, regular drying, and styling. For in-store inquiries, use sku #2359634.